What if Tulane does not have a book or article I need? The first letters in call numbers are associated with subject areas. Read the table of contents, introduction, and conclusion first. Academic works are not novels - you'll get more out of it if you know in advance the author's main points and conclusions. Found a good book on your topic? Look at the titles near it on the shelf for related works. Raid the bibliography of a good book for more sources, both primary and secondary. Ask a librarian if you need help locating a cited source. Ready to expand your search beyond Howard-Tilton? Use the WorldCat database to search for books, journal titles, audio, video, and other materials in libraries across the country and around the world. Use InterLibrary Loan (ILL) to borrow items from other libraries! Find materials in libraries around the world. Click TU Link in a record to identify local holdings or borrow from U.S. libraries using Interlibrary Loan (ILL). Two different interfaces (one via subscription and the other open-access) offer unique user experiences. Search the collections of Howard-Tilton in multiple formats, or use the drop-down menu to preselect books, articles, media, and other types of materials. If Tulane does not have a book you need in it's collection, please register to use the library's Interlibrary Loan service ILLiad. ILLiad allows students, faculty, and staff of Tulane University to place Interlibrary Loan requests for materials from outside universities quickly and efficiently. 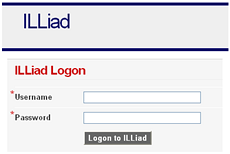 Through ILLiad you can also renew, track, edit, and view the history of your requests. Although it can take as little as a few days to receive an ILL request, please allow 10-14 days. Dissertations, theses and other rare or hard to find items may take longer or be unavailable.